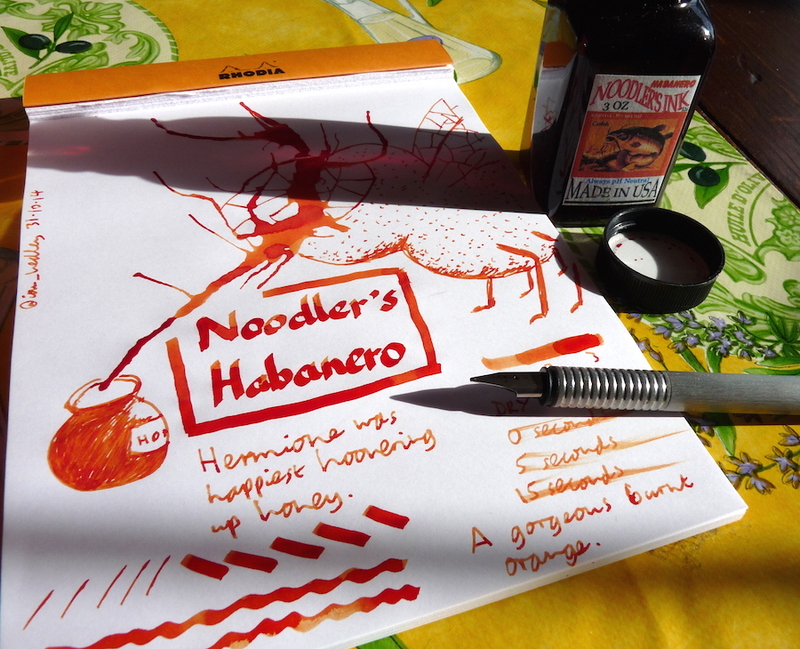 Noodler’s Habanero ink review – Pens! Paper! Pencils! This is a beautiful deep orange that reminds me, as all my favourite inks do, of food. In this case of caramelised orange. It has some lovely shading and has become a firm favourite. 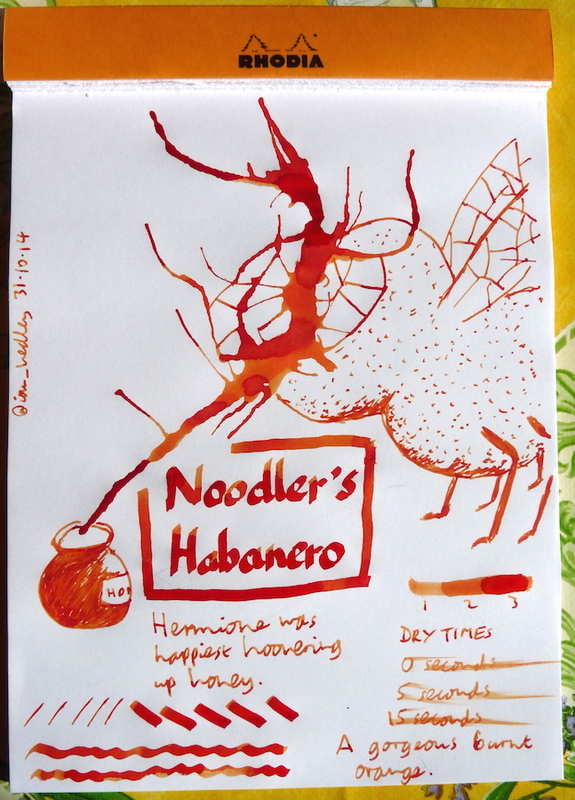 You can find some more reviews of Noodler’s Habanero on Pennaquod. Thank you to Pure Pens for sending me this ink to review. I’ve not let that influence my views. Pure Pens are Europe’s only authorised distributor of Noodler’s inks. You can buy this ink from Pure Pens here. Hermione was looking forward to lying in the hammock and having an afternoon siesta . . .
Hermione hovers up all the honey, gets a sugar rush and zooms around the room really fast.